Following the deadly suicide bombing in Jalalabad targeting Afghanistan’s Sikh and Hindu minority the NSO has flagged its concerns with the government and taken steps to raise the issue with the All Party Parliamentary Group (APPG) for International Freedom of Religion or Belief (FoRB). You only have to look at the declining numbers of minorities to realise the gravity of persecution they face in Muslim majority Afghanistan. Prior to the collapse of Kabul government in 1992, there were 220,000 Sikhs and Hindus in the country, and today only 220 or so families remain. Sikhs and Hindus need police protection to cremate their dead as it is deemed offensive to Muslims, they are forced to pay the jizya or ‘tax of humiliation’, and are fearful their women and daughters will be kidnapped and converted to Islam. Afghan Sikhs we’ve spoken to in London have told us it is now time for Sikhs to leave Afghanistan and seek sanctuary elsewhere. The victims of the Jalalabad attack included Awtar Singh Khalsa who had planned to stand for parliament in elections this October. In light of this most recent atrocity, our Director Lord Singh has asked the government 1. What discussions they intend to have with the Afghan authorities to safeguard the security and right to freedom of belief 2. What representations they intend to make to the government of India to encourage them to grant asylum to victims and families 3. Whether Britain intends to offer asylum to the families of those who were killed. We will be sharing the response received from Ministers. We’ve also contacted the APPG for FoRB to ask them to follow up on this issue and include the persecution of Afghanistan’s minority faiths on the agenda for their next meeting. 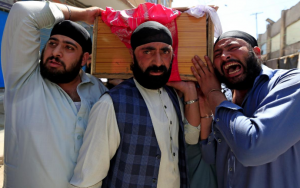 News of the Jalalabad attack comes in the wake of a case highlighted by Justice Upheld involving a Pakistani Sikh forced to go on the run having received a fatwa (to kill him) by the Taliban. His only crime in the eyes of Islamists – the setting up of a Sikh school in Peshawar. 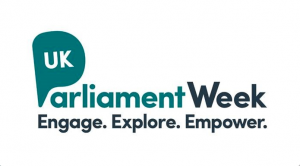 This year we’ve partnered up with UK Parliament Week 2018 , an annual festival that engages people throughout the UK with the work of Parliament. Take part by holding an event, explore what Parliament means to you and encourage your community to get involved in democracy. Sign up and receive a free kit, complete with resources to help you plan your event or activity. It’s both a pleasure and duty to join you and support the movement of the National Council of Resistance of Iran (NCRI) and millions of Iranians in your efforts to free Iran from suffering and tyranny. I say duty because I speak as a Sikh, and Sikhs have a responsibility to speak up against tyranny, oppression and religious persecution wherever it occurs. ‘I may not believe in what you say, but I will defend to the death you right to say it’. Nearly a century before Voltaire, Guru Tag Bahadhur, 9th Guru of the Sikhs gave that noble sentiment practical utterance when he was publicly beheaded for defending the right to freedom of belief of Hindus, people of a different faith to his own, against forced conversion to Islam by the Mughal rulers. Sikhs and the people of Punjab, have always had close cultural and trade links with Persians and Iran. The Persian language Farsi was at one time the court language of Punjab and Farsi was used in the compilation of some Sikh scriptures. There was once a prosperous Sikh community settled in Tehran. I have no idea of what has become of it. I have many Iranian friends and feel for the suffering of the people of Iran, under the vengeful, cruel and intolerant rule of religious extremists. Brutal crackdowns and torture have become the norm for those expressing dissent. Iran now leads the world in the use of the death penalty. In recent weeks, we have seen growing riots and unrest over food shortages and a plummeting currency with brutal repression by a paranoid regime. All religious minorities, including co-religionists suffer persecution. Sunnis are not allowed to build mosques, Baha’is expelled from university because of their faith. Kurds and Arabs suffer discrimination, and there is continuing concern about the small and once thriving Sikh community. As a Sikh, I do not go along with religious states. No religion has the right to impose its values on others. Religious values become meaningless if imposed by force. Religious leaders who use compulsion to impose their ideology are simply brutal dictators who bring uplifting values of religious teaching into disrepute. I see a welcome glimmer of hope in work of the NCRI led by Maryam Rajavi, who has constantly worked for a better future for Iran. I am heartened by her 10-point plan for open democratic government where rights of all people & all faiths are respected. The Plan reminds me of the Sikh Maharaja Ranjit Singh’s enlightened rule in Punjab in the 1800s. He stressed his Sikh belief in the equality of women. He included Muslims and Hindus as advisers in his government and spent large sums of money building and beautifying places of worship of other faiths. He abolished the death penalty and brought peace and prosperity to long-suffering Punjab. There is a striking similarity with the enlightened and far-sighted 10-point Plan of the NCRI. It will bring peace, harmony and prosperity to a land that has known only suffering in recent years, and with God’s grace, I look forward to it becoming a reality in the near future. Lord Singh’s speech 30th June at Free Iran Gathering 2018, Paris.